Home » General Health » Should You Avoid Assisted Living? Should You Avoid Assisted Living? 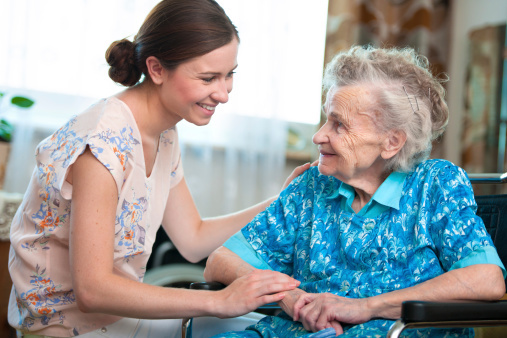 A recent study out of Australia indicates that frail elderly people living in assisted living facilities have an increased risk of illness or death from norovirus outbreaks. Norovirus is a form of viral gastroenteritis that spreads quickly amongst people in close quarters. Spread through contact, it contaminates people, food, water, and other surfaces. There is currently no vaccine or cure for norovirus, but only a very small percentage of cases are fatal. As you might expect, the most serious tolls are taken on children and the elderly because they typically have weaker immune systems. The symptoms associated with the condition are vomiting, diarrhea, abdominal cramping, fatigue, myalgia, headaches, chills, and fever. Although frail seniors in assisted-living homes are a high-risk group, norovirus is not a particularly threatening condition if you look at the numbers. There are roughly 19-21 million cases reported each year in the U.S.; however, only 56,000 –71,000 sufferers required hospitalization, while only 570-800 succumbed to the condition. As a comparison, there were over 33,000 deaths by car accident in 2010. In the same year, over 21,000 seniors died from unintentional falls. I wouldn’t let the increased risk of contracting norovirus sway your decision to live in an assisted-living facility or let it scare you. Anytime you’re occupying shared space—on a cruise ship, a shopping mall, subway car, workplace, apartment building—you’re at risk. And for many frail seniors, an assisted living facility provides far more benefits than risks to living alone. There is round-the-clock care on hand and lowered risk of succumbing to many of the injuries, illnesses, or difficulties that the elderly experience when living independently. If you currently reside in an assisted-living facility, take the same measures to protect yourself from contracting a virus as you would if you lived or travelled anywhere else. Wash your hands thoroughly and often, rinse all fruits and vegetables, keep surfaces clean, and do regular laundry, while avoiding contact with sick individuals. Furthermore, if you notice the hygiene in your facility isn’t up to par, make mention to the supervisor or your caretaker that it needs improvement. The suggestion can keep you, your friends, and the employees in the home healthy. Wiley, “Gastro Outbreaks Hit Elderly Hardest,” Science Daily web site, April 2, 2014; http://www.sciencedaily.com/releases/2014/04/140402153623.htm, last accessed April 8, 2014. “Norovirus,” Centers for Disease Control and Prevention web site, October 30, 2013; http://www.cdc.gov/norovirus/index.Html, last accessed April 8, 2014. “Accidents of Unintentional Injuries,” Centers for Disease Control and Prevention web site, December 30, 2013; http://www.cdc.gov/nchs/fastats/acc-inj.htm, last accessed April 8, 2014. “Falls Among Older Adults: A Review,” Centers for Disease Control and Prevention web site, September 20, 2013; http://www.cdc.gov/homeandrecreationalsafety/falls/adultfalls.html, last accessed April 8, 2014.